Graham Campbell's stuffed pork loin recipe is packed with aromatic herbs and tasty sausage meat. 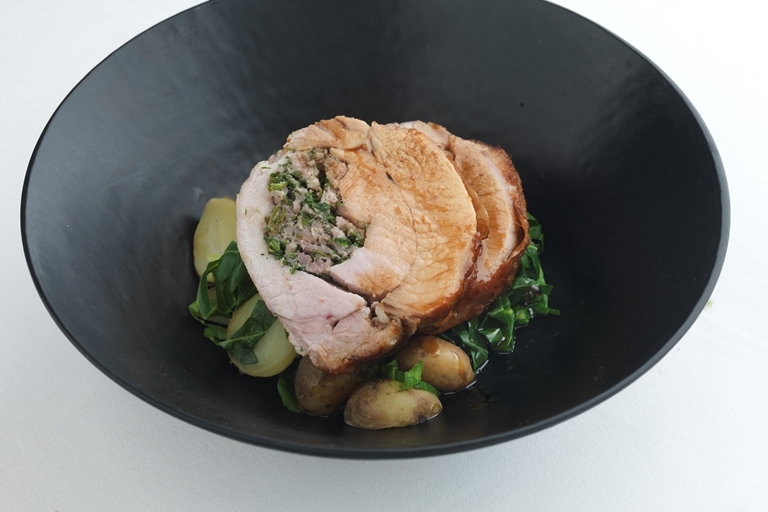 To keep things light, Graham serves the roast pork with spring greens, Jersey Royals and a cider vinegar and Dijon mustard dressing. Pork loin is a lean cut of meat partial to drying out, but cooking in a steam oven will help to lock in moisture and keep the meat succulent.